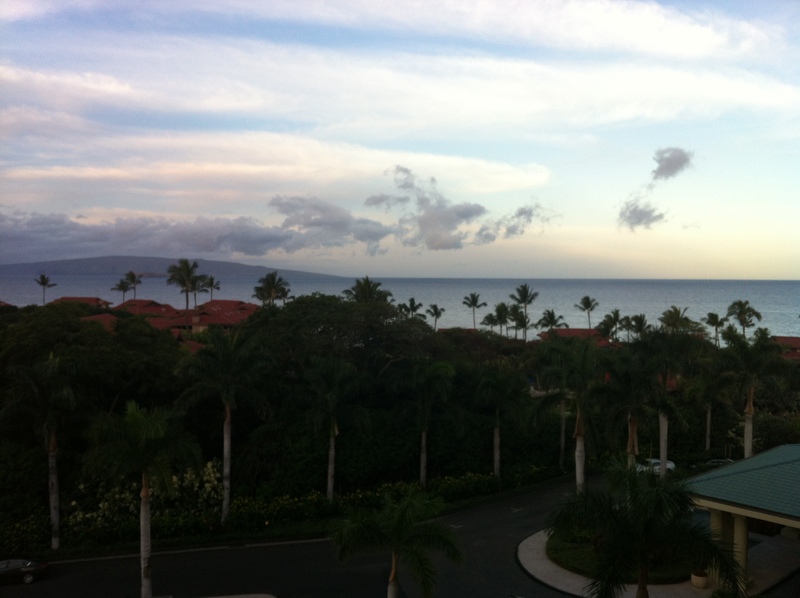 After an incredibly long day of flying, and delayed flights, we arrived at Four Seasons Maui at midnight. Our reception was warm and friendly with a traditional lei greeting and their amazing mint ginger lemonade. The staff could not have been more helpful and they quickly whisked us away to our room for some much needed sleep. I hate that we arrived in the dark, but it actually made it even more special to wake up in Hawaii and see the amazing views for the first time. 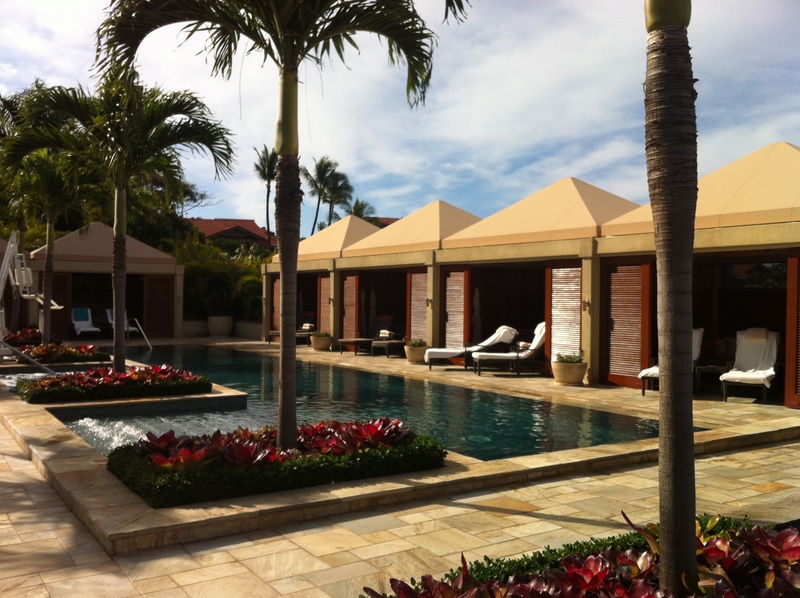 Four Seasons in Wailea offers some of the largest guestrooms on the island. The rooms are angled so almost every room has a view of the ocean. 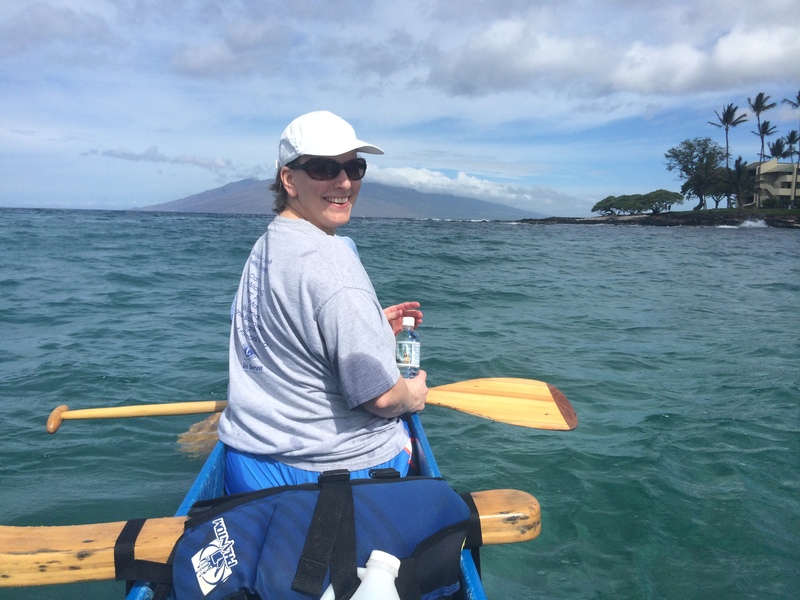 We stayed in an ocean view room with two beds and a sleeper sofa so it could easily accommodate a larger family. They also offer a club level floor and numerous larger suites. First stop was Duo’s for a spectacular breakfast buffet. The buffet features at least four stations of hot and cold foods, plus a couple smaller tables with pastries and cereals. They also have a gluten free section. Duo’s offers the breakfast buffet and then serves dinner with a focus on steak and fresh seafood. The also have Ferraro’s by the pool for lunch, Snorkel’s by the beach for light fare and snacks, Caffe Ciao for deli and bakery items, and the Lobby Bar. Their feature dinner restaurant is Spago by Wolfgang Puck. Each weekday from 8:00am-1:30pm they host local artists and craftsmen in the open air along the first floor. You will find photography, jewelry, paintings. ceramics, and clothing. The vendors change daily so you can always find something different. I saw some very talented artists, esp. a black and white photographer, and some stunning jewelry designs. The pools area is quite large and features a beautiful fountain in the middle of the main pool. There is a smaller waterfall pool and then a separate private adult only (21+) area. There is food and drink service around the pools and all seating at the main pool area, including cabanas, is free. The adult only pool has cabanas for rent at $485 per day with champagne, fruit, large tv , couch, etc. Four Seasons is beachfront. 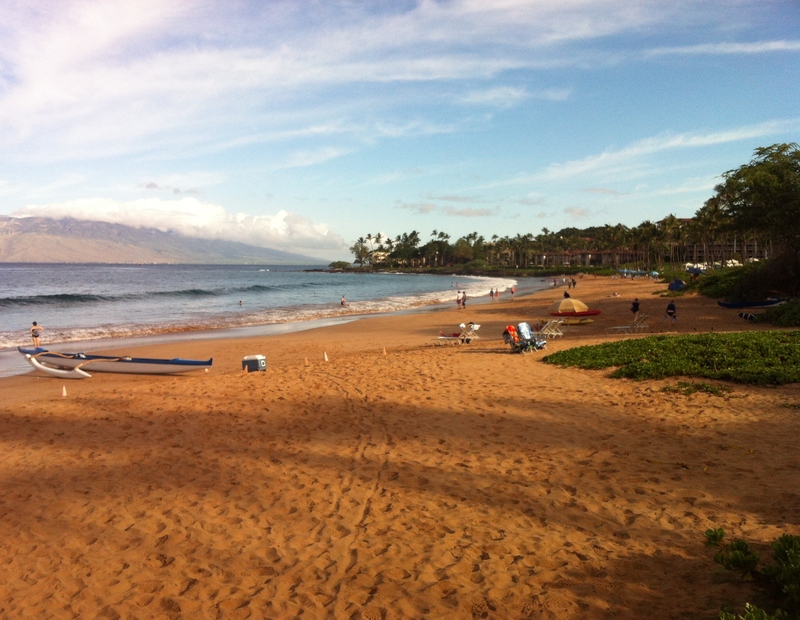 All beaches are public in Hawaii, but Four Seasons really does not share their beach with anyone. There is chair and umbrella service on the beach. They also offer complimentary snorkel and outrigger canoe trips. The Outrigger was one of my favorite things from the whole week. Besides water sports, there are plenty of ways to stay fit while here. They offer complimentary tennis , a cardio gym outside, regular gym inside, fitness classes, and a path along the beach for jogging or walking. 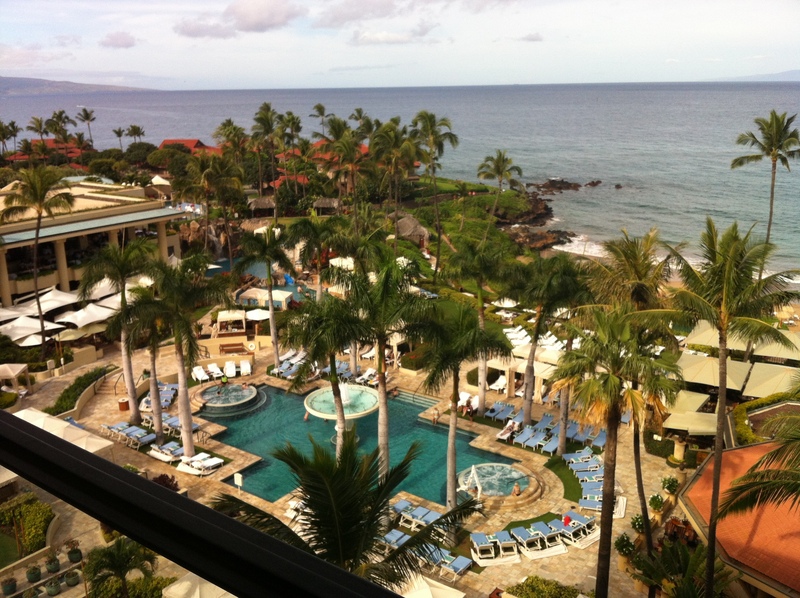 Four Seasons Maui is a beautiful hotel with fantastic service. They offer a great value with numerous complimentary services and amenities. There is no additional resort fee. As a Virtuoso advisor, my clients will receive breakfast for 2 daily at Duo’s, plus an additional $100 food and beverage credit.